Attention Veterans Canteen Service Vendors! Veterans Canteen Service (VCS) has updated their systems to better serve their vendor community. As this update is being rolled out, you may receive rejection notices on some invoices due to invalid ITD (Payment Terms) segments. If you have an invoice rejected due to this, **contact your VCS buyer to either have your payment terms set up in their new system, or have new Payment Terms negotiated with you. Payment Term (ITD) : Specified terms combination (discount percent, due date, net date) was not found among valid combinations allowed by VCS. Invoice Date: 2011-06-14. Discount Percent: 2. Discount Due date: 2011-07-04. Discount Days Due: 20. Net Date: 2011-07-15. Net Days: 31. 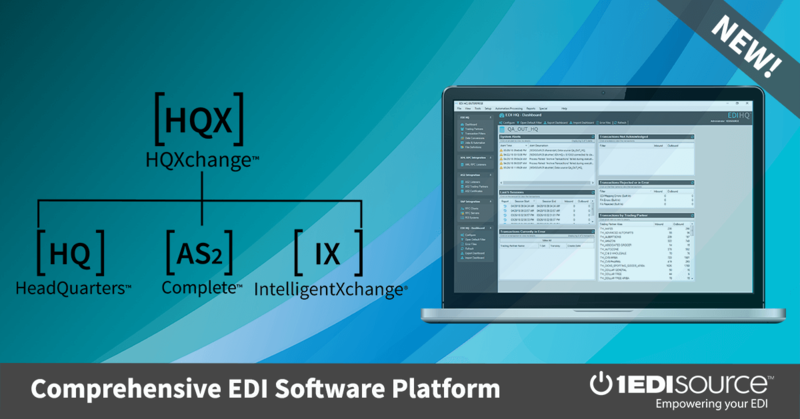 If you have any questions about VCS EDI requirements or want to learn how you can stay compliant with any trading partner using innovative EDI solutions, Contact 1 EDI Source Today!